Keeping in mind the precise demands of clients, we manufacture and export a wide range of Water Repellent Glove. 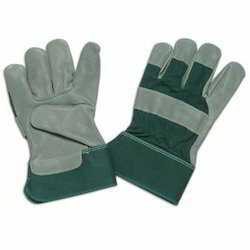 Further we offer these Water Repellent Glove at most competitive prices. The offered range is available in various colors, sizes and designs at the most reasonable price. 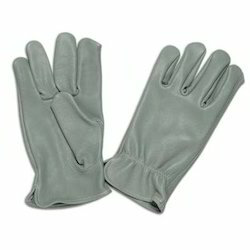 We have engaged our hand in the fabrication and exporting a wide gamut of Grain Water Repellent Glove. Beside the color combination and comfort we are focusing high limit of safety in the manufacture of the same. Our product is durable and flexible in user point of view. These are the updated version of hand gloves is basically synthesized with a special purpose of water protection. We are combining high quality lather in the manufacture of Leather Palm Water Repellent Glove. They are desirable in the hospitals, safety departments and cleaning departments. Leather Water Repellent Glove are one kind of highly durable and flexible kind of gloves is basically used for safety departments and industrial use. These are preferable in all kind of beverage industries and cleaning departments. 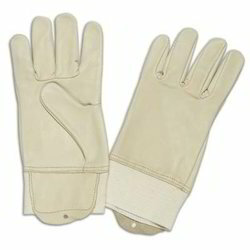 We are engaged in manufacturing and exporting a wide gamut of Beige Grain Water Repellent Glove. These products are developed from excellent technology and are also available in beige & yellow color . Plus, they are long lasting and are available in various shapes and designs. 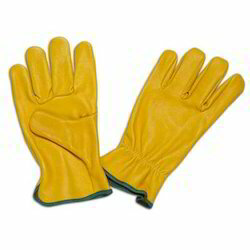 We are producing different kinds of water repellent gloves offering high range of water protection and¿¿Grain Water Repellent Safety Leather Glove¿¿is an addition in that. These are durable and giving a shelf life of more than 3 years.